I don’t eat dessert very often, but when I do, it’s gotta be something I love. I’m a huge fan of pies … especially fruit pies. Perhaps it’s because I think the fruit makes them a tiny bit healthier, but they’re still SO VERY delicious…especially with a scoop of homemade vanilla ice cream. YUM!!! Apple pie is one of my go-to favorites, and my recipe uses all real, unprocessed ingredients (okay, there’s a little bit of sugar in it, but I’ve got some suggested swaps-outs in the recipe). In my opinion it’s hard to beat its taste, and I love the way our kitchen smells when I’m baking one in the oven. So please, if you’re looking for a new way to indulge occasionally or to make a holiday meal special, there’s simply no better way to go! And if you’re a little adventurous … try the cardamon twist. It’s very subtle but AWESOME! Peel and slice apples into a large mixing bowl. Coat with lemon juice to keep the apples from browning and to add a bit more tartness to the pie. Then add and toss together the spices, sugar/honey, cider/juice, flour, and salt. Flour the surface and rolling pin. Roll out crusts until they’re about ⅜ inch thick. My pie crust recipe makes plenty of dough. You should have plenty (even extra) for two 9-inch crusts. Place the bottom crust into a 9-inch, deep dish pie plate. Pierce the bottom crust with the tines of a fork 6-8 times. Pour the filling into the pie plate. Dot with slices of butter and cover with the top crust. Top pie with second crust. Seal the edges of the two pie crusts together making sure the lip of the pie crust hangs slightly over the edge of the pie pan. If it doesn’t, it will likely shrink away from the edge of the pie pan. It isn’t the end of the world if it does – but as you make more and more pies, you’ll get the hang of it. Then using your thumb and forefingers of both hands, go around the pie to crimp edges, making sure the edge continues to hang slightly over the edge of the pie pan to prevent shrinkage. 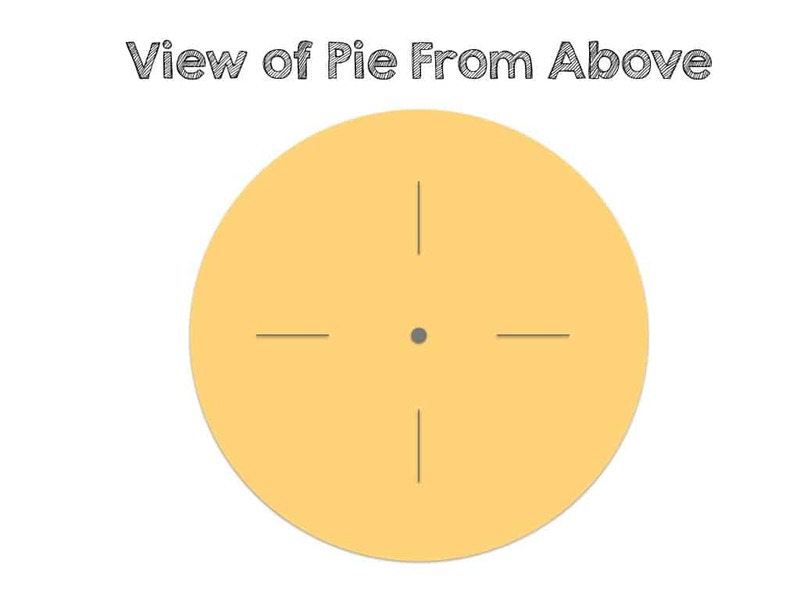 Cut 5 vents in the top crust (one small hole in the center of the pie and then four vents/opened slits that radiate from the center at 12 o'clock, 3 o'clock, 6 o'clock, and 9 o'clock—here's a visual if this doesn't make sense). Brush the top crust with a mixture of 1 egg white and 1 tablespoon of milk. Sprinkle top crust with sugar (optional). Bake your pie at 450F degrees for 15 minutes. Then place on pie crust shields (or make some out of foil), and lower the temperature to 375F degrees. Bake for another 35-45 minutes or until the filling looks bubbly and done! Take the pie out of the oven and cool so the pie can set. The pie will be juicy at first, so please ... let it rest and set. Serve with vanilla ice cream or plain. Enjoy! I like an apple pie that has some real cinnamon flavor in it. So I choose to use at least 4 teaspoons in my pie. If you're a little more hesitant, 3 teaspoons is just fine. Oh, and make sure to use a high quality, organic cinnamon! It does make a real difference. Getting the right amount of flour to balance the juiciness of the apples can be one of the hardest parts of getting a fruit pie right. Too little flour and your pie is too runny. In general I add more flour than less, but use your best judgment. Also, if you're adding honey or maple syrup, add more flour vs. less since these both add more moisture to the filling. Just so you know ... it's not the end of the world if your pie is a little runny. It's more proof that it's homemade and deliciously imperfect! If you’re a stickler about using no processed sugar, you can opt for honey or maple sugar. If using honey, choose a nice, light-colored raw, local honey. If you bake the pie ahead of time, you can warm it in a 200F oven for 30 minutes before you’re ready to serve it.